Description: 5-8.5 in. 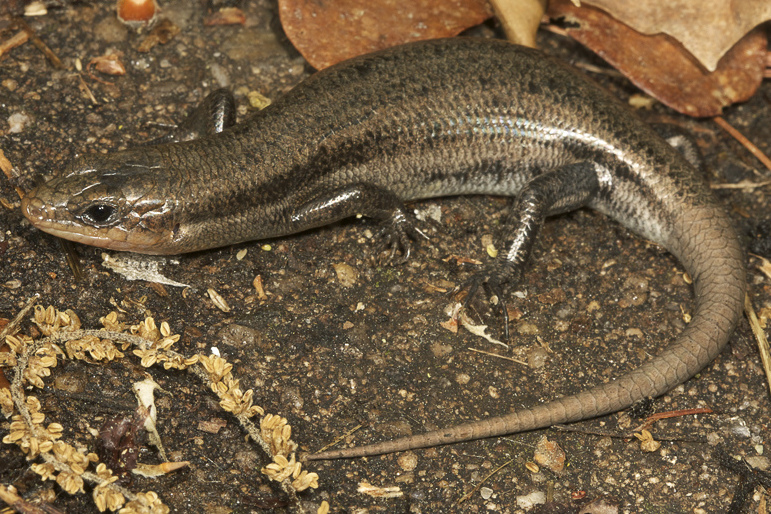 (12.5-21.5 cm) As their name implies, five-lined skinks have five light lines that run down their backs and tails. 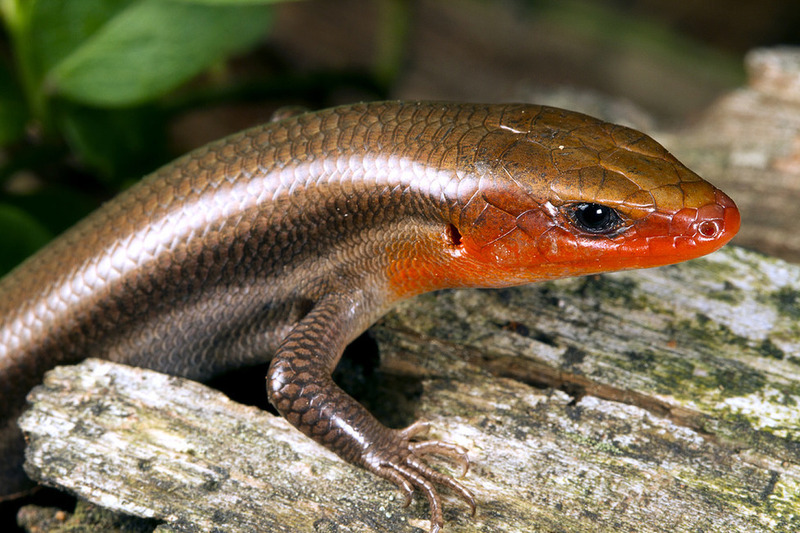 While female skinks usually retain this pattern throughout life, adult males often become nearly uniform brown or olive in coloration with orange-red coloration on their jaws during the spring breeding season. Young five-lined skinks have five white or yellowish stripes on a black ground color and a bright blue tail. 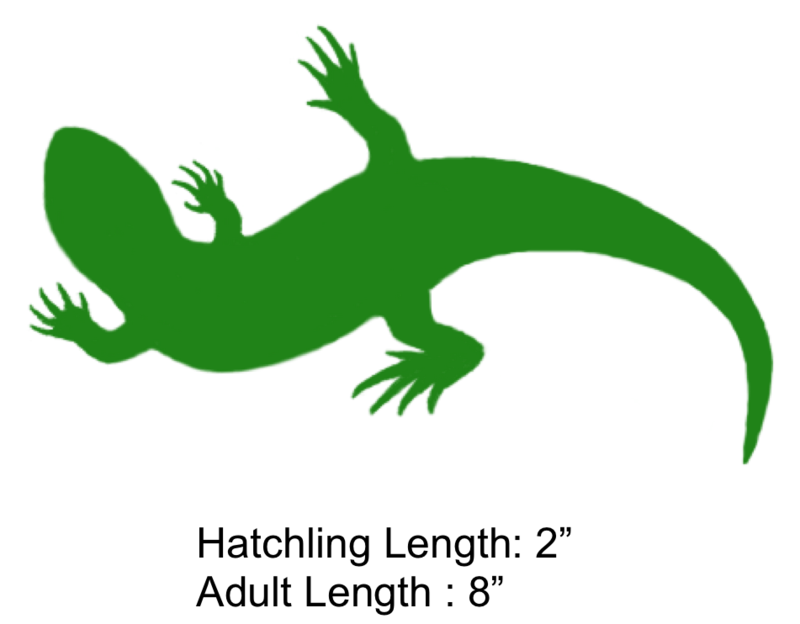 Five-lined skinks can be distinguished from the southeastern five-lined skinks by a row of enlarged scales under the tail and from broad-headed skinks by smaller size and four labial (lip) scales instead of five. Five-lined skinks are primarily terrestrial but often climb trees, especially dead and decaying snags where insects are abundant. They are active year-round in warm weather. Feeding/Diet: Five-lined skinks eat various arthropods including spiders, roaches, crickets, grasshoppers, and beetle larvae. 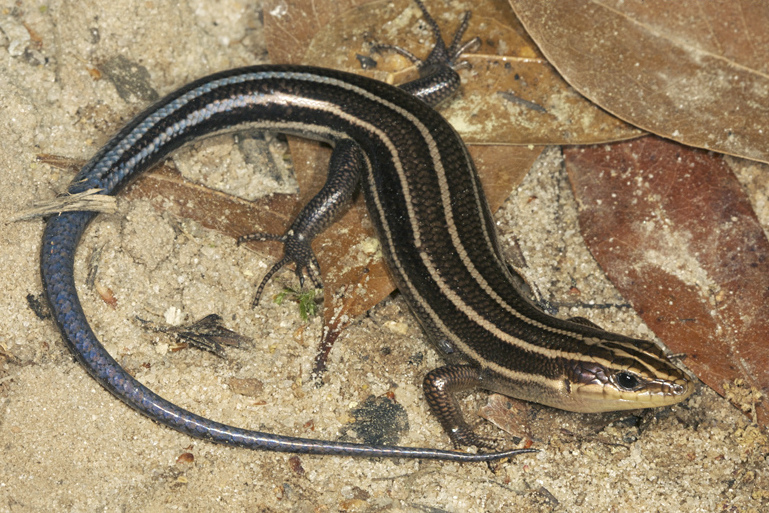 Habitat/Range: The five-lined skink occurs throughout North Carolina except for the Outer Banks. 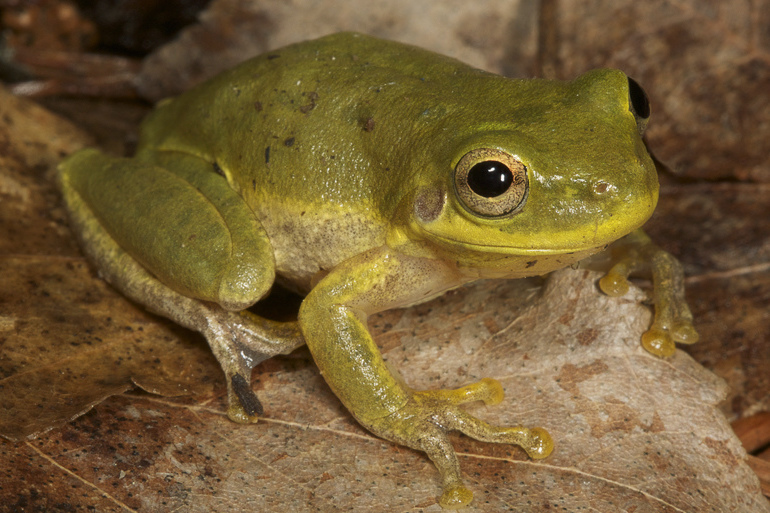 They can be found in almost any habitat but are most abundant in areas with rotting stumps and logs, in swamps, and along river margins. They can be seen basking on warmer days. Reproduction: Five-lined skinks generally mate in spring and lay 6 to 10 eggs in nests which are usually in rotten stumps or logs, sawdust piles, or beneath sheltering objects. The shaded region represents the range of the Five-Lined Skink in North Carolina.